2017 marked Milwaukee Public Theatre’s 43rd year of humorous, socially-conscious, visually evocative outreach through the arts in Milwaukee and beyond. An anniversary celebration in September, The Steampunk Circus of Metamorphosis, offered the public an opportunity to explore the history of this amazing organization. Originally named Friends Mime Theatre, Milwaukee Public Theatre was founded in 1974 by Dr. Barbara Leigh and Michael John Moynihan. As one of the region's few professional outreach theaters, the company has presented over 100 original productions and thousands of outreach events to audiences where they live, work and play throughout the Milwaukee community over 40 years. These events have also reached audiences across the state, region and nation. MPT’s original shows meld ancient, traditional and contemporary theatrical forms into new relationships providing information and commentary on contemporary issues for youth and adult audiences. The company’s free-to-the-public performances, parades and pageants in Milwaukee's schools, parks and other public spaces have the most diverse audience of any arts organization in the city, county or state. In recent years, the company has annually presented about 1,000 public events for nearly 100,000 adults and children of all ages, backgrounds, cultures and abilities. During MPT’s 40 years, over 1.5 million people have been touched by these unusual, inclusive and imaginative theatre and public arts presentations and events. MPT also employs established and emerging artists from all cultural backgrounds. These artists lead workshops or residencies reflecting Milwaukee’s diverse communities at schools, youth-serving agencies or public places. They also perform in original theatreworks, provide interactive entertainment for special private events, or appear in numerous neighborhood block parties, celebrations. Presenting the arts as healing and peace-making forces with a particular sensitivity to people of all abilities is one of MPT’s most unique features. Extensive collaborations with a variety of organizations cultivate a sense of community and place-making, through inclusive youth and family arts activities reflecting local values and cultures in colorful, musical and engaging public events. Among other significant honors, Dr. Leigh was named Artist of the Year in 2014 by the City of Milwaukee Arts Board. The Board of Directors presented The Steampunk Circus of Metamorphosis as a fabulous 40th anniversary celebration. 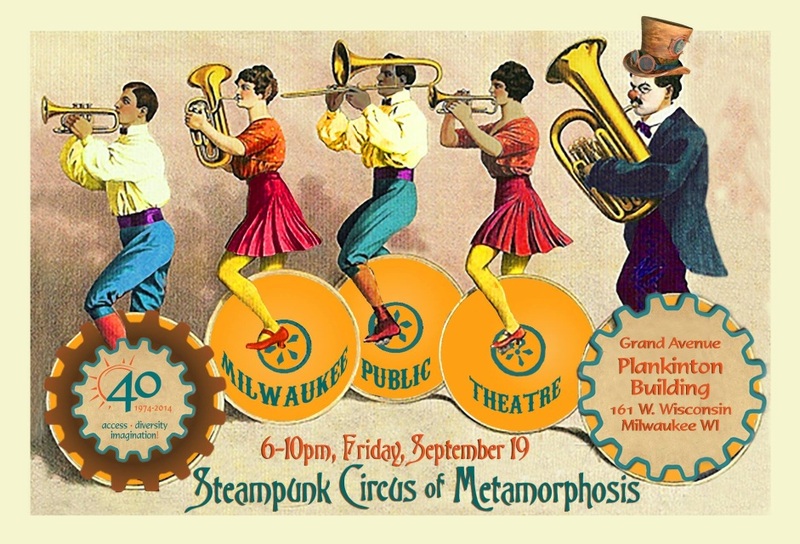 The theme combined MPT’s extensive circus arts experience with the whimsy and invention of Steampunk, and also recognized MPT’s metamorphosis, how the company has kept pace with changing social issues, remaining relevant to Milwaukee’s increasingly diverse population. It was a wonderful reunion with many old friends. Milwaukee Public Theatre's outreach office is in the City Housing Authority's Lapham Park Community Building although our P.O. Box remains our mailing address. MPT has received support from the United Performing Arts Fund, the National Endowment for the Arts, Wisconsin Humanities Council, Milwaukee County CAMPAC, the City of Milwaukee Arts Board, the Wisconsin Arts Board with funds from the State of Wisconsin, and from private foundations including the Bader Philanthropies, Faye McBeath Foundation, Greater Milwaukee Foundation and others, and numerous community-based organizations and individuals. 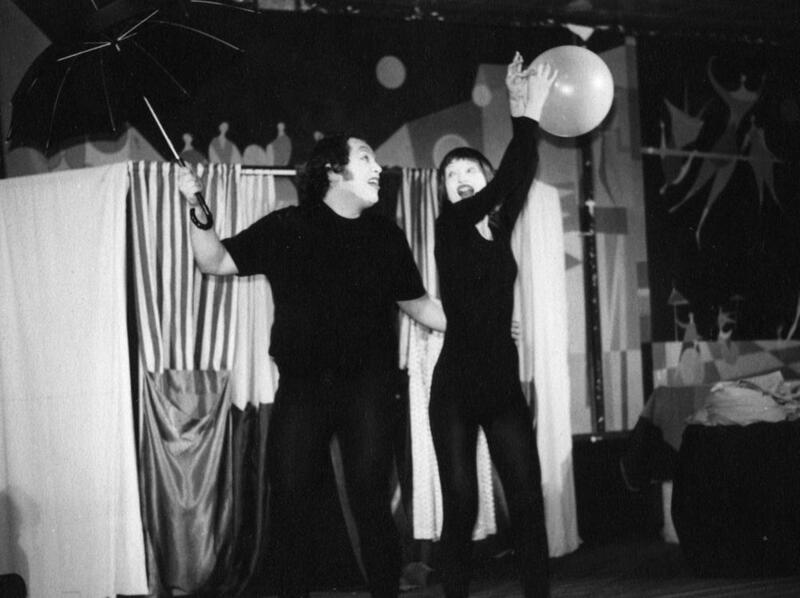 Rafael B. Smith worked with MPT from the Friends Mime Theatre days until his death in 2002.